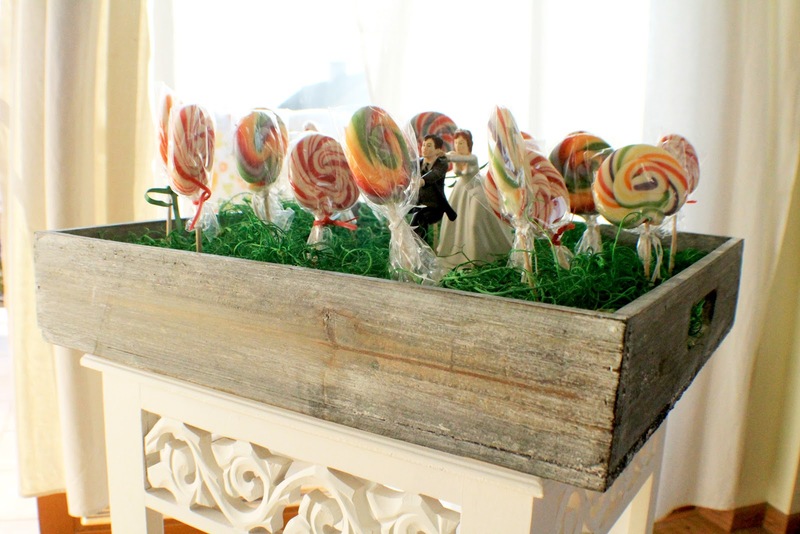 Lollies in a wooden box, one of the treats we had for our wedding guests. I also added my cake topper to it that I bought in US a while ago. It wasn't used for the weeding cake as we decided for a different cake design. Well, let's say I decided... if Mr. D is reading this I am sure & he will comment on it for sure :-) Instead, the chasing pair of bride & groom found a place with the lollipops.